Back in late January 2012 American Airlines announced that it had ordered and would roll out the new Premium Class design for both the First Class and the Business Class. 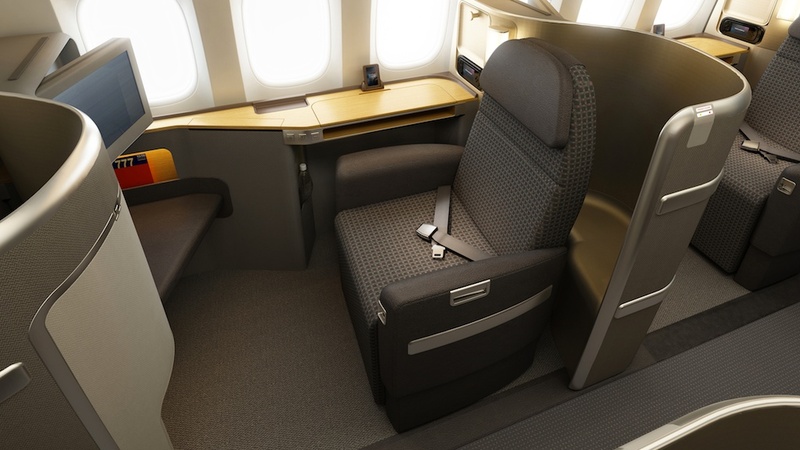 At first glance of the new business class seats, I told one American Airlines Senior Analyst at DFW of how the design looked eerily similar to the upcoming Cathay Pacific’s new business class seat design, known in the industry as the Cirrus Seats. I asked if the same designer had been used to design the seats for all oneWorld partners’ fleet. He responded by saying that indeed American Airlines had tried to minimize differences across the brands, including the seat design. 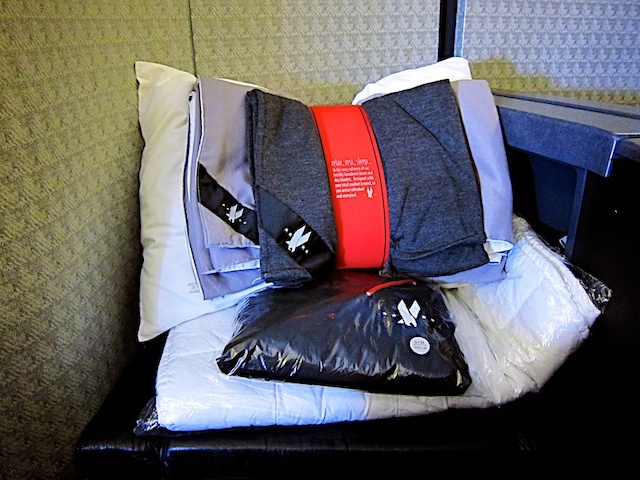 In August 2011 American Airlines announced the new amenities for First Class passengers on long-haul international flights operated by Boeing 777s and 767-300s, in addition to select flights to and from Europe operated by Boeing 757s. The package seen here, taken today on the B777 Tokyo-NRT-bound AA 169, came as advertised. From the bottom up: A soft, quilted bed topper, a large pillow, a cozy duvet (light grey,) a light-weight day blanket (dark grey,) and a pair of pajamas. Just like in other true luxury First Class cabin of select Airlines that had done this long before American does (Singapore Airlines and Cathay Pacific come to mind,) a new turndown service is offered. The Amenity Kit comes in a newly redesigned pouch with an authentic Eames Office® design pattern. Current provider for the amenities is Dermalogica®, offering skin care products, in addition to the usual socks, eyeshades, earplugs, toothbrush, toothpaste, lip balm, tissues, towelette, comb and a pen.